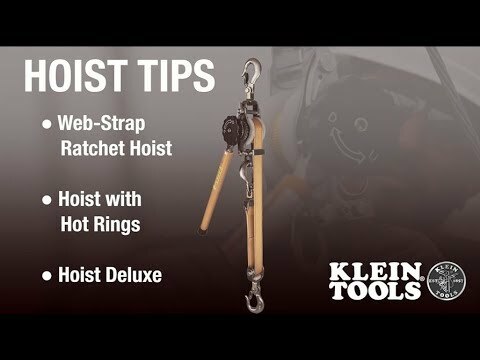 The Web Strap Hoist Deluxe has new features to make work easy and efficient. The handle can be removed for less obstruction when working near the hoist and less storage space needed. The deep V-notch in the hook latches for secure closure. Tighter ratcheting mechanism means less work, less fatigue. The handle and non-conductive drum knob allow you to safely control the tension release to avoid free wheeling. 360 degree handle rotation easily works from any angle for added flexibility on the job. Read, understand, and follow all warnings, cautions, safety information, and instructions in the manual before operating or servicing this hoist.